MOTIVATED SELLER. 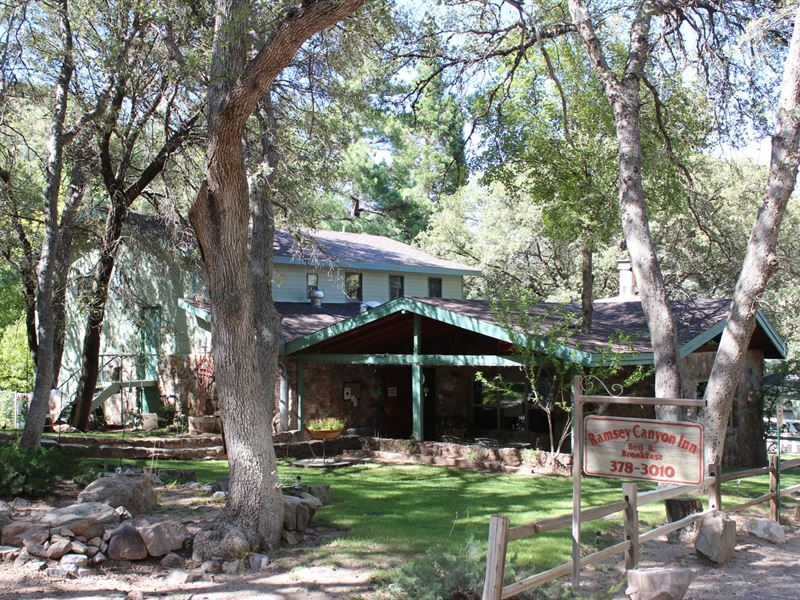 WORLD FAMOUS RAMSEY CANYON INN is now available. This remarkable income property consists of a total of 10 bedrooms and 12 bathrooms including a beautiful main lodge with 6BR/6BA, a triplex & a private 1BR house all situated on the most incredible 10 heavily wooded acres with grass, flowers & a fantastic creek. Multiple great building sites with views & abundant wildlife. BIRDWATCHERS PARADISE. The property borders the renowned and protected Nature Conservancy Preserve and the Coronado National Forest. It has been a successful Bed and Breakfast for 29 years. Sold as a real turnkey operation with all furniture, appliances... It could also serve as a Private Family Retreat, Healing Center, Assisted Living, Church/Children's Camp or a Corporate Retreat to name a few. This is a very peaceful, quiet, 5,500' elevation setting that you will never want to leave. Must see.